How did you end up in the badminton world? I was looking for a second sport to do besides jujutsu. After trying a lot of sports that I didn't like, my cousin (Marc De Punt) suggested that I try badminton. Because a big part of my family already played badminton, I started playing it as well. After 2 years I was selected for training with the best players of the province. That was the year i quit jujutsu to focus on badminton. How did you end up in the JOT team? When I played for a few years the same cousin that got me into badminton asked if I wanted to help on the JOT final day. Every year a got little more involved. Until this year when Jeroen asked if I wanted to be a part of the team. 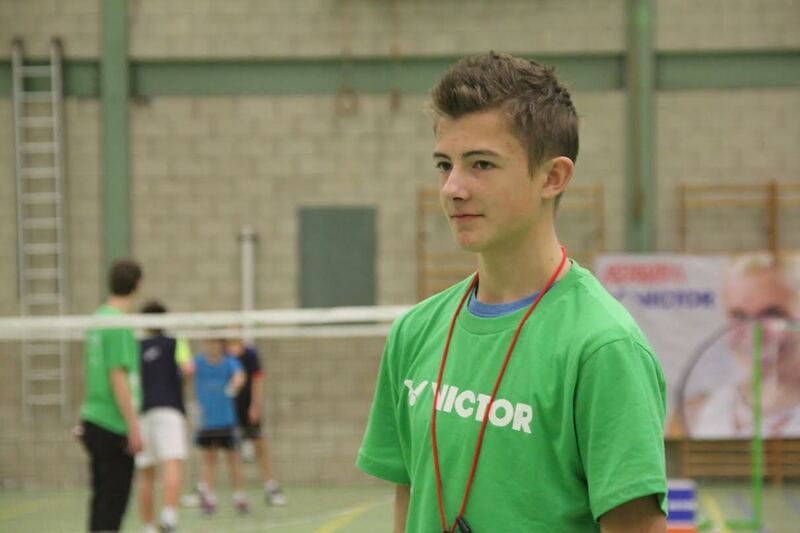 And that is the story of how my cousin (Marc) helped me into badminton and the JOT team. What do you do when you are not busy with badminton? I study sports and physical education at KTA Boom. So a lot of my time is dedicated to training for my sports exams. If I have some spare time after my practice I listen to new music and chat with friends. What do you do in the JOT team? In the JOT team I do social media, website and I am learning about the tournament schedule.